With the rising population and dynamic housing trends in the NCR regions, Noida has managed to retain an upper hand in the real estate market as compared to Gurgaon. With the extension of the metro from Dwarka to Noida city centre covering major commercial sectors (sector 15, 16 and 18) the property prices in Noida have witnessed a staunch acceleration. Noida is turning out to be the next Delhi for the migrants. Even Delhi residents are considering a second home in Noida. Greater Noida, Wave City Centre and Noida Extension have managed to draw a whole lot of people lately. The well-known Wave City Center Noida, situated near sector 25A and sector 32 is a huge milestone. At a distance of 5 minutes from the Sector 18 market and about 7 minutes’ drive from the DND flyover spread across 4 crores sq. ft built up area, 1 crore sq ft. is marked for commercial purpose and hotel while the remaining is available for retail, residential use and for multiplexes. The price per sq. ft starts from Rs. 14000 per square foot. Greater Noida is becoming the new hub for a lot of commercial and educational sectors, from HCL Technologies, Honda, LG, Moser Baer, Yamaha to the knowledge park including major institutions like the Apeejay Institute of Technology, Shadhra group, FHRAI Institute Of Hospitality Management, ITS Dental College. It is connected to Noida by a six-lane highway and is a pleasant location for mid and high end residential segments. Also the Yamuna Expressway, which has become a property hotspot, connects it with Agra via Mathura. 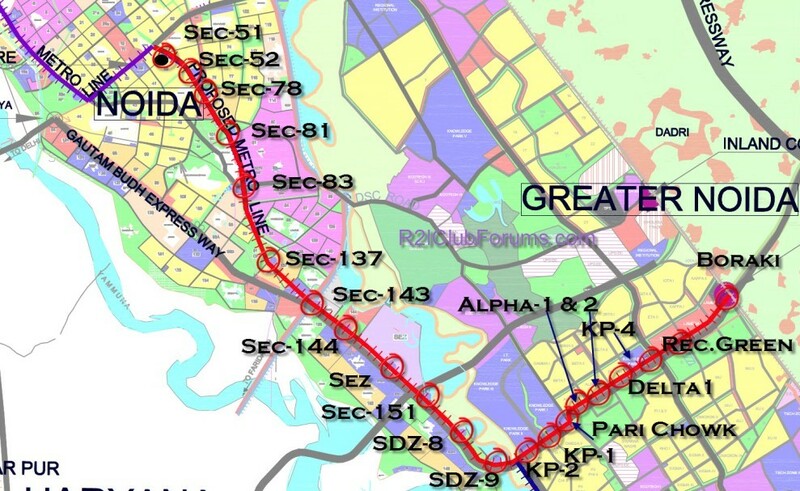 A metro link will connect it with Noida, Ghaziabad and New Delhi which will alter Greater Noida into an entirely new city. Noida Extension which is considered a separate location includes, Sectors 1, 2, 4, 16B, 16C, 16D and Knowledge Park V of Greater Noida. Only 10km away from Noida City Centre, this place is a valuable option for an investment purpose. A proposed metro rail link will definitely improve connectivity between Noida and Delhi. Don’t let go off this golden opportunity. Noida is the next destination for you. Giving it a second thought is not the option for you because money doesn’t multiply on its own. Start investing and enjoy the fruits in less than a decade.